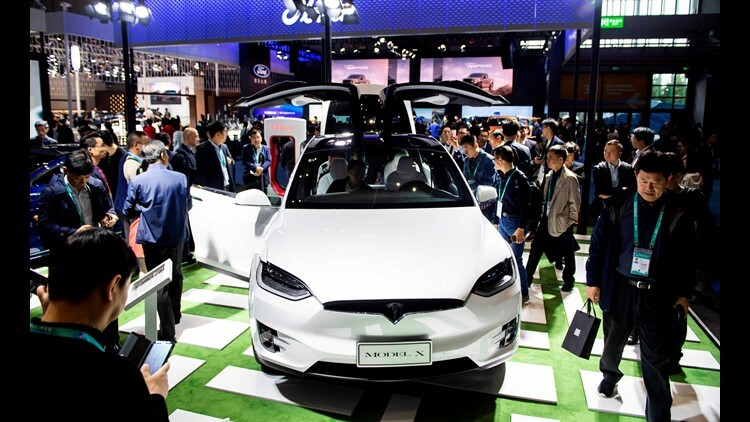 Visitors look at a Model X car of electric-carmaker Tesla Motors at the first China International Import Expo (CIIE) in Shanghai on November 6, 2018. BANGKOK – Tesla has announced that Robyn Denholm of Australia’s Telstra will become its new board chair. The electric car company said Thursday in a statement that Denholm will leave Telstra after a six-month notice period with Australia’s biggest telecoms company. The appointment takes effect immediately: Denholm already is on Tesla’s board. Tesla said her post as board chair will be a full-time position.